Tuition enrollment season can be a bear for families and schools alike! But with proper preparation and clear communication, you can make it much easier for all involved, and pleased parents will put your school on the fast track to enrollment success. 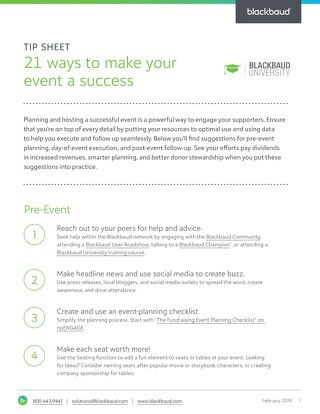 The following advice is useful for any school that’s looking ahead, but we’ve also included additional information for schools using Blackbaud Tuition Management™. 1. Determine the enrollment and re-enrollment processes that works best for your school. 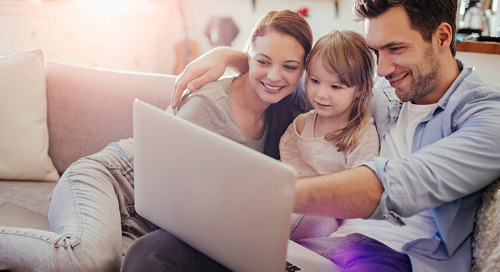 Automatic enrollment through the contract integration with Blackbaud Enrollment Management System™ provides the quickest and cleanest solution for both parents and the school. Parents complete the online enrollment/re-enrollment process; this option removes the data entry responsibility from the school but is potentially redundant for families that have completed enrollment contracts. The school provides family demographic information on a spreadsheet and then uploads it into the system; the parents are emailed a link to complete the enrollment process, which is a good way to split the workload between parents and the school. The school manually completes the entire online enrollment/re-enrollment process for families using information supplied on the enrollment contract; this option isn’t ideal for schools looking to gain bulk efficiencies, but it is helpful in one-off situations where a family is unable to complete the enrollment themselves. 2. Communicate with your families in advance. 3. Set an enrollment deadline that works for everyone. Give your payers an enrollment deadline that’s at least 60 days before their first payment due date. This will give your team time to review the billing application before the first welcome letter and invoice is generated—for Blackbaud schools, this is 20 days before the first payment due date. Our schools can also stay up to date on the enrollment progress by scheduling an enrollment report or by reviewing the Enrollment tab daily. 4. Have a plan for your administrative fee disclosure. Whether or not your school discloses the administrative fee to families can have an impact on how the tuition management system is received. You know best how your families will react to an annual fee, but when explained, most payers understand there’s a cost associated with bookkeeping, invoicing, processing, and collecting tuition and fees. In Blackbaud Tuition Management, the administrative fee is collected with the first payment whether the school discloses it or not. Bonus Tip: If the school is absorbing the administrative fee, consider building it into a school fee or the total tuition amount to recoup the expense. If you are displaying the fee and collecting the first payment in school, you will want to include this in the total collected. 5. Plan for late enrollments. Add the missed payment amount to the next billed month on the plan. Collect the missed payment in school and record as an in-school payment on the family account. Spread missed payments evenly across the remaining payments in the plan. If the school’s policy allows for an extension of the end month on the plan, this can be accommodated in Blackbaud Tuition Management—simply contact our support team. 6. Prepare the billing application. 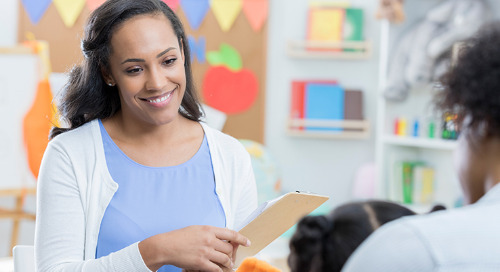 To reduce the number of questions that your team receives, we recommend providing families with a comprehensive view of the amounts owed by including all ancillary fees and discounts along with tuition in your school’s billing application. In Blackbaud Tuition Management, you can set these fees and discounts up before enrollment. Depending on your reporting preferences, tuition can be applied as a standard tuition line or as a tuition fee. Billing can be applied automatically using the Contracts integration or our Rate Card feature. You can also apply billing in a batch or by submitting a data upload. After your enrollment process is complete, compare your registration and billing records against the accounts receivable billing report in your tuition management system to confirm that all attendees are accounted for and your billing is correct. This report displays as the “A/R Billing Report” in Blackbaud Tuition Management. Learn how your school can create efficiencies throughout the entire admissions process with The Connected Enrollment Experience from Blackbaud. Erin serves as a senior service delivery consultant for Blackbaud Tuition Management. Lending a helping hand is kind of her thing. She's been helping schools with tuition management since 2012, and in her free time, she loves assisting her local animal rescue organizations, one of which recently received a Blackbaud Community Matters grant.